Dictatorships be they fascist or communist typically want to do big impressive things to build their “face” and in the aftermath of the Spanish Civil War and the Second World War it was decided that to build the new Spain’s international reputation that they should build a sports car. And not just any sports car mind you, but a world beater. So it was that the Empresa Nacional de Autocamiones SA (ENASA) or “National Truck Manufacturing Company” in English were commissioned to create this sports car that would be a match for Ferrari, Jaguar and Talbot. Given that Ferruccio Lamborghini started out manufacturing farm tractors this is perhaps not as odd an idea as it initially seems. At the heart of any sports car needs to be an engine that captures the imagination. This Pegaso has the later 2.8 liter DOHC V8 breathing through two four barrel Weber carburettors. There were politics at play in this project and so a Spanish born and educated engineer was needed to spearhead it, and that engineer was Don Wilfredo Ricart who had been Technical Director for Alfa Romeo. Ricart’s first task was the engine for this Spanish sports car and he showed great sense not only of what would be good for performance but also what would be good for sales and publicity by creating a 2.5 liter DOHC V8, which means four camshafts with neat distinctive covers to catch the attention of potential buyers when the engine compartment was opened. A V8 of course also brings with it that much loved V8 sound that proclaims power in the exhaust note. 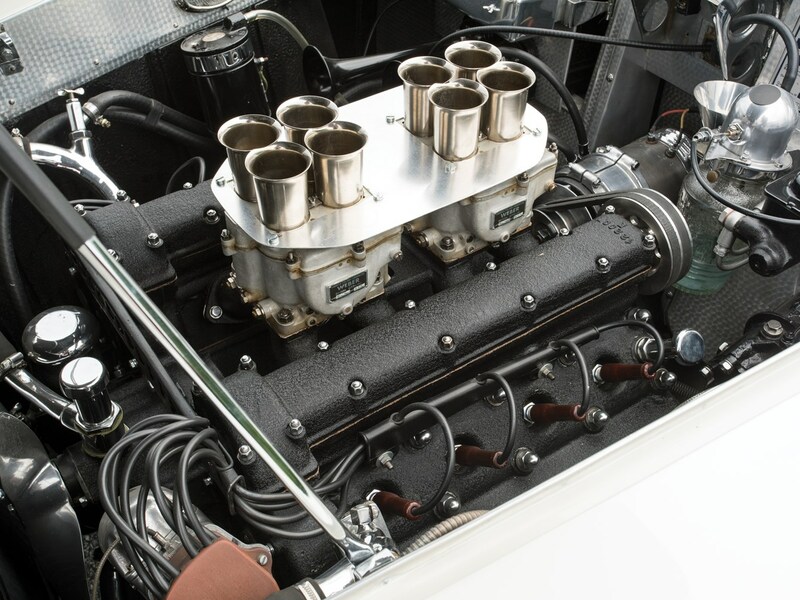 Ricart set about using race car technology in the Pegaso by incorporating a dry sump lubrication system with an oil cooler and sodium filled exhaust valves to assist with cooling. Ricart’s V8 was mated to a five speed trans-axle mounted behind the differential. The transmission for the Pegaso was unusual as it was a five speed trans-axle with the gearbox mounted behind the differential. This was a very unusual arrangement in the fifties. Front suspension was independent with longitudinal torsion bars and outboard finned drum brakes. Rear suspension was by lateral torsion bars and De Dion tube which was mounted by a small wheel attached to the front of the differential rather than by the more usual Watts Linkage or Panhard Rod. The rear brakes were also large finned drums mounted inboard. Bearing in mind that in the very early fifties as Ricart was doing this design disc brakes were uncommon appearing first on Jaguar cars at Le Mans in 1952 for example. Ricart provided the Pegaso with dual hydraulic systems for the brakes which was quite ground breaking for the early fifties also. 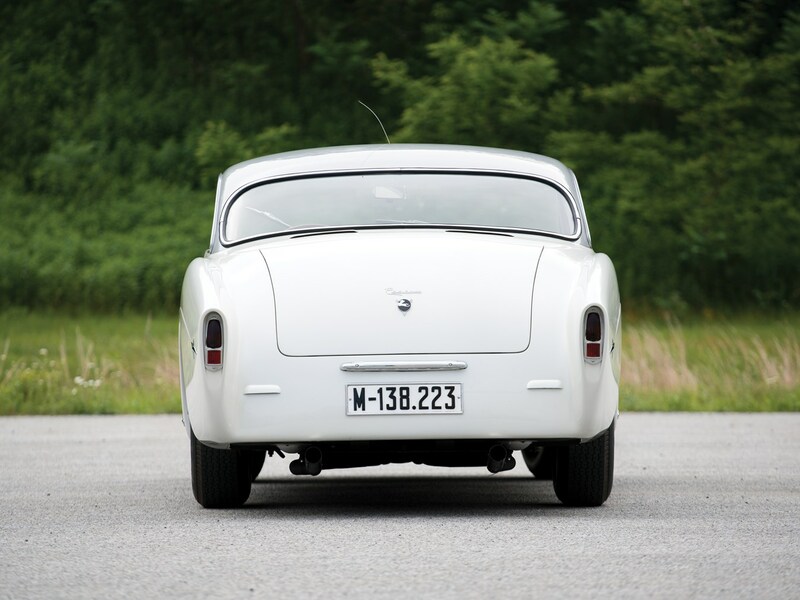 The recipe of suspension with inboard rear brakes and weight distribution evened out by having the transmission in the rear of the car should have made the car’s handling excellent. Sadly it didn’t. Ricart’s efforts to get an even weight distribution between front and rear should be expected to create a winner. Unfortunately the theory didn’t quite work out in practice. Despite Ricart’s efforts the handling of the Pegaso has been described as “brutish”. Somehow it just didn’t come together despite the excellence of the engineering theory that went into it. That being said of course sports cars of the fifties such as the Jaguar XK120 for example don’t handle like sports cars of today. They are perhaps best described as “a bit of a handful”, which is what makes them so much fun to drive. So Ricart’s Pegaso should not be regarded as poor handling by comparison with most of its contemporaries. That gutsy V8 engine and the fifties handling qualities are guaranteed to provide a thrillingly different driving experience. 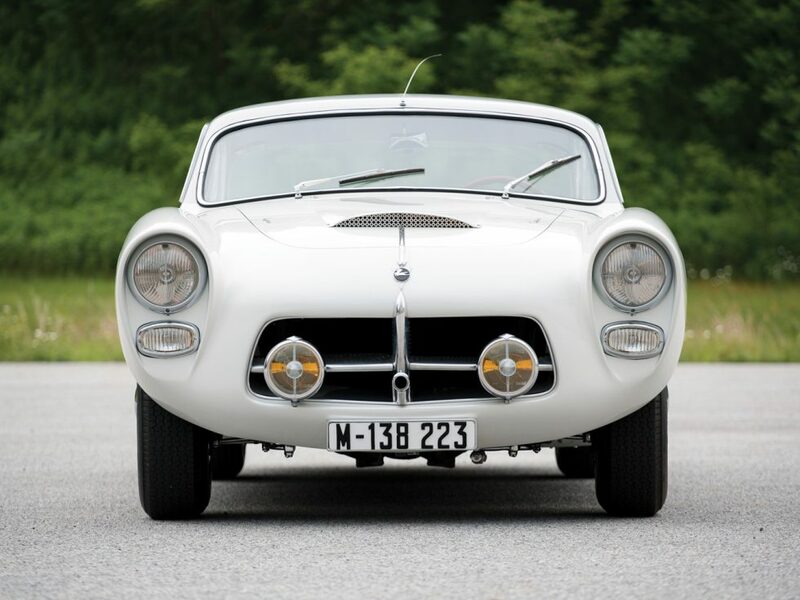 The Pegaso is every bit a premium fifties sports car. 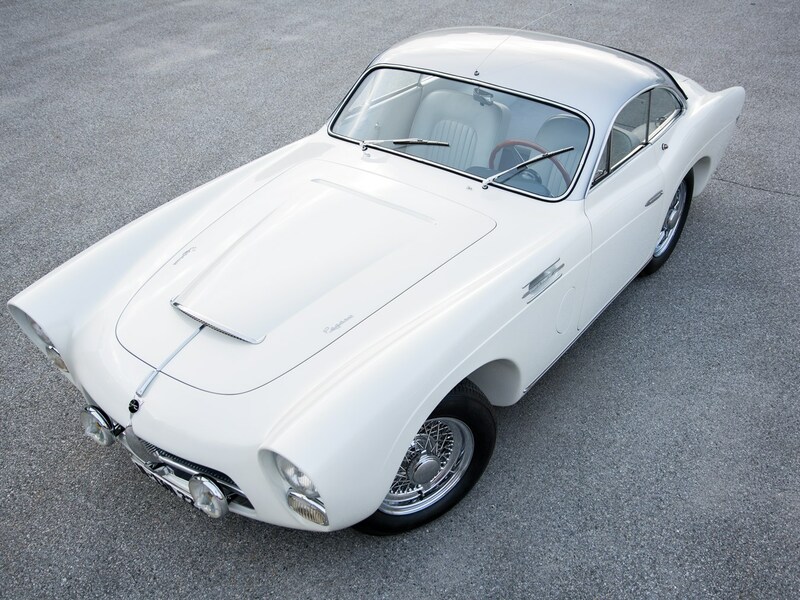 The Pegaso was campaigned in competition including at the Monaco Grand Prix in 1952 (which was run as a sports car race), when they had to withdraw due to problems with the handling, and in Le Mans in 1953. For the 1953 Le Mans the two factory prepared cars were both destroyed by a fire at the factory so a replacement car was prepared, perhaps a little too hurriedly. It crashed at over 200km/hr during the trials for the race and the driver, Juan Jover sustained serious injuries to his left leg. So the car did not really have a chance to prove itself on the race track. It did have the opportunity to demonstrate its potential however when in September 1953 a Pegaso Z-102 Touring BS with the later 2.8 liter engine was taken to the Jabbeke circuit in Belgium where Jaguar had set their speed record and driven by Celso Fernández the car broke four world records of the Royal Automobile Club de Belgique including the Flying Start Kilometre previously set by a Jaguar XK120. The cockpit of the Pegaso is restrained and purposeful. The Pegaso was originally created as something of a propaganda exercise and by 1958 the money to keep it going ran out. It had been a very expensive car to create. 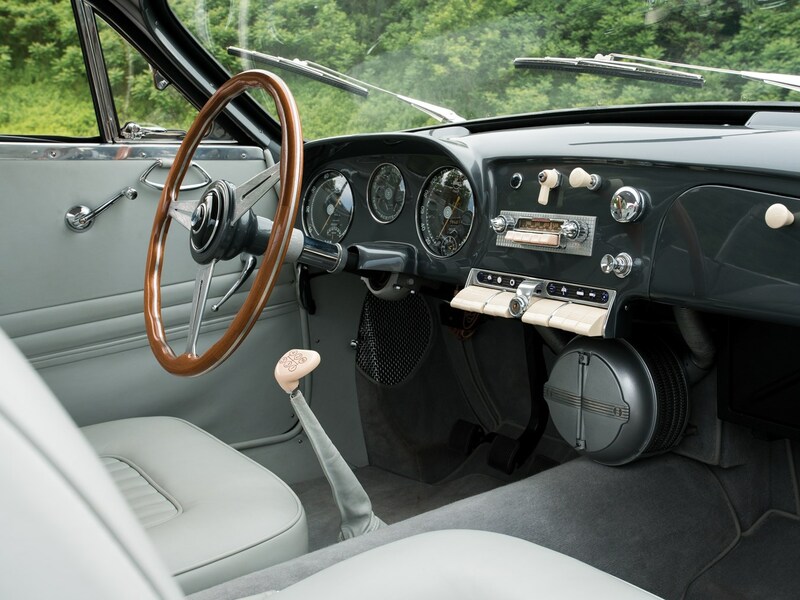 Only 86 cars were produced in total and of those only 18 of the later cars with the 2.8 liter engine were fitted with coachwork by the renowned Carrosserie J. Saoutchik of Neuilly-sur-Seine. 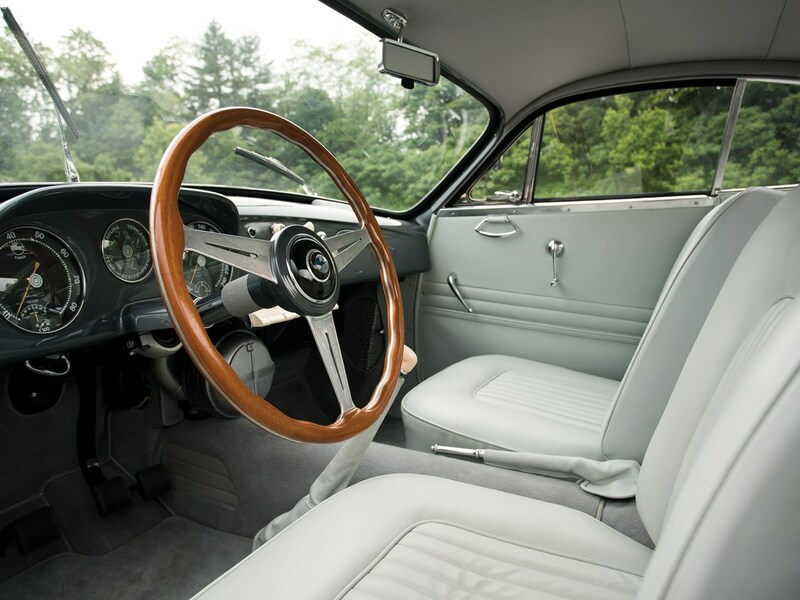 The car in our photographs is one of those eighteen and was built in 1954. 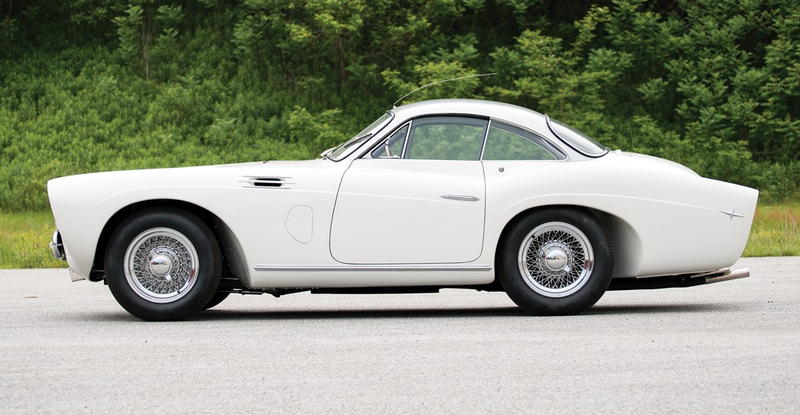 It has been very completely restored prior to its being offered for sale by RM Sotheby’s at their Monterey auction to be held over 19th-20th August at the Portola Hotel & Spa, Monterey, California. This car is unusual in a number of ways, partly because of the political rationale that gave rise to it, partly because it represents one of very few Spanish luxury cars created, and partly because the design has a number of quite different design features set off to perfection by the Saoutchik coachwork. This is a very stylish car with its Saoutchik coachwork. Pegaso in Spanish translates to Pegasus in English. The symbol of Ferrari is the prancing horse. But Pegasus is the winged flying horse of Greek mythology – and flying is faster than prancing. 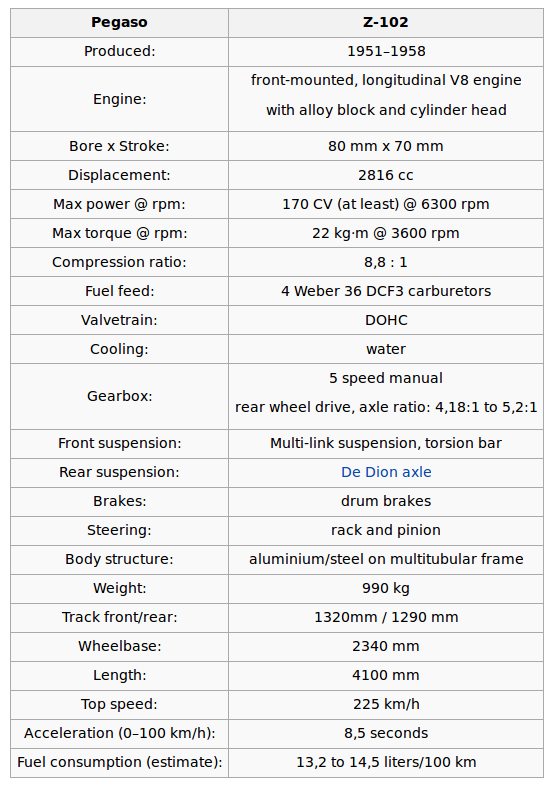 The technical data set out below by courtesy Wikipedia provides a picture of just how fast this “Pegasus” could fly. 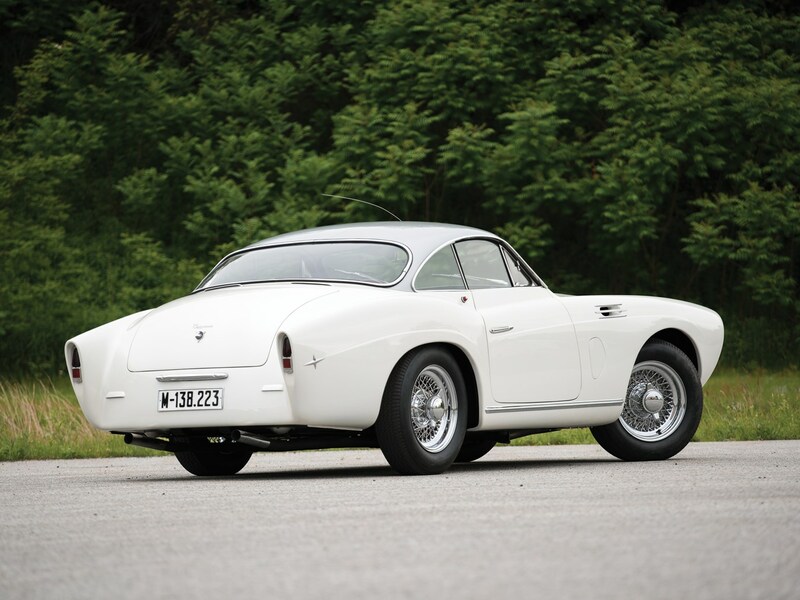 The Pegaso is a car capable of showing a clean set of heels even today. (All pictures courtesy RM Sotheby’s except as otherwise marked).